The Breakfast Club in Hoxton (earlier) are using their cinema room for a good cause this January, hosting charity screenings of The Full Monty in aid of the Rays of Sunshine Children's Charity. "For every Full Monty breakfast sold across our cafes throughout January we’re donating £1 to Rays of Sunshine Children’s Charity. 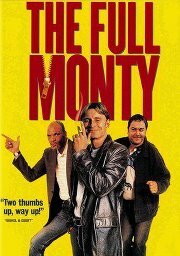 To coincide with this, our first film nights of 2013 are going to be 90’s classic The Full Monty and the £5 ticket price (which includes the film and popcorn) all goes to Rays of Sunshine. We’ll be showing the film in the cosy cinema room at our Hoxton cafe on Thursday 10th, 17th, 24th and 31st of January with a 7.30pm start. Getting your kit off is optional."